Just like your favourite pair of jeans, your planner needs pockets. Pockets are a great way to store supplies such as cards and stickers, essentials of daily life like receipts and invitations, and even a little memorabilia of photos, tickets and notes. Planner pockets can be whatever shape or size you’d like. 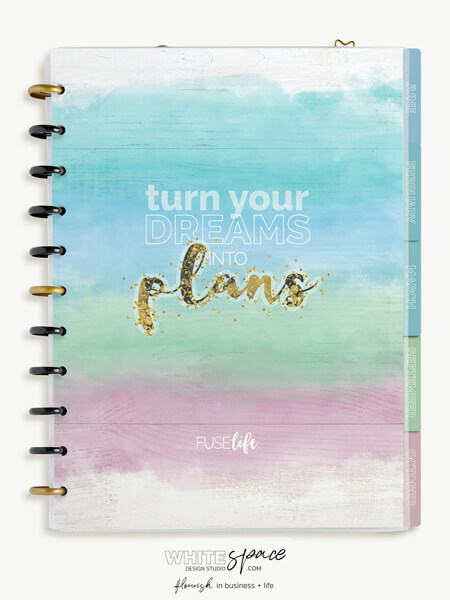 And you can infuse your own style and use a variety of materials to customise your planner. 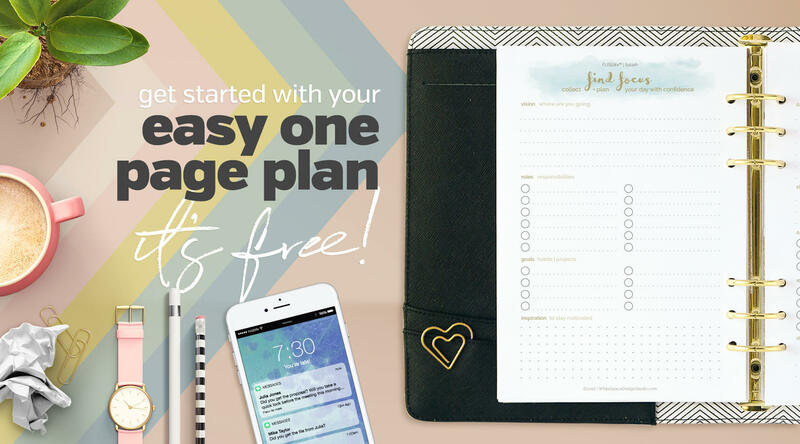 Today let’s make a simple, yet striking planner pocket. 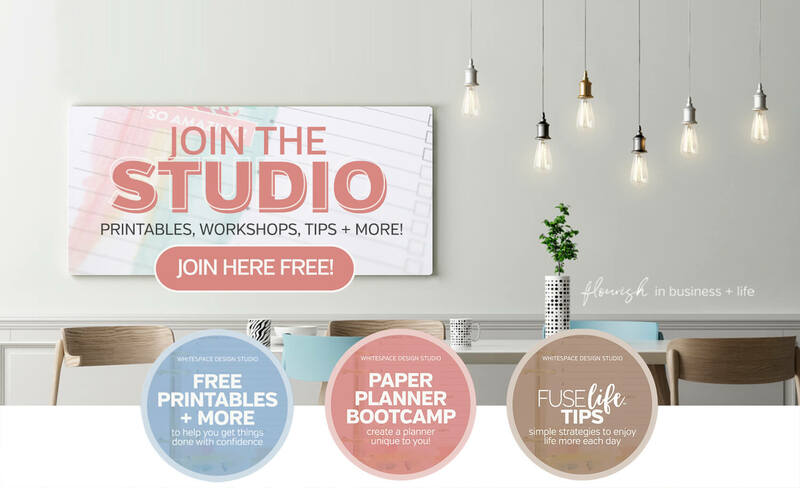 To learn more about creating your own planner see the Beginners Guide Series here. 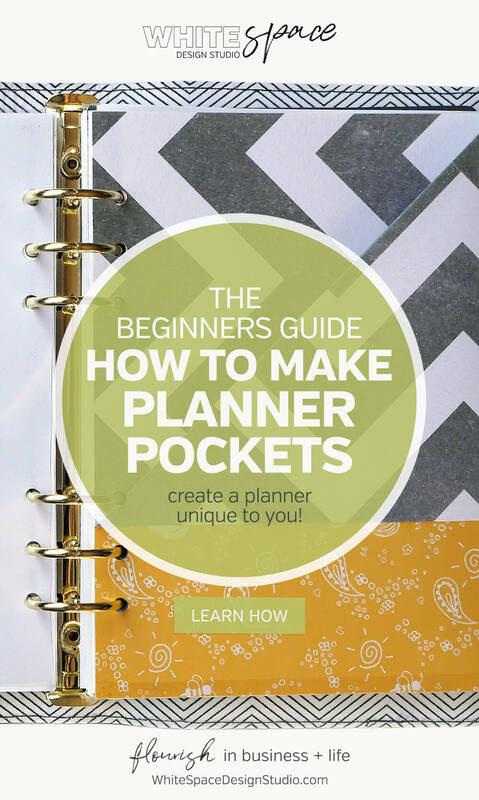 Decide on the finished size of your planner pocket. I’m making a planner pocket to fit my Kikki.K large binder, A5, full page size so my width is 148mm and the height is 210mm. #proTip : Your planner pocket doesn’t have to be the same size as your planner pages. Double the width of the size you want your planner pocket to be. This is the size of the piece of card you will need. My pocket will be A5, 148 x 210mm, when finished so the piece of card I need is A4, 297 x 210mm, in size. I have printed two of my favourite papers double sided on my inkjet printer. #proTip : If you are making a pocket that is larger than a single piece of card, simply join two of your favourite pieces together on the long edge using some washi or clear tape. Mark the piece of card and fold in half. This should be the size of your finished planner pocket. If your piece of card was larger than you needed simply cut off the extra. #proTip : If you score the fold first, mark it by pretending to cut along the fold with the blunt side of your knife, it will make a dent in your card and you’ll get a nice crisp fold. Turn down the top open corner onto the folded side to create the pocket opening. Place the folded card with the opening on the left and folded edge on the right. Measure how far down on the open side, the left, you want the pocket to open. I measured down 148mm, the width of my pocket, on the open side so that my corner would neatly touch the folded side of the pocket. #proTip : You can have a deep or shallow pocket depending on how far down you fold. Glue down your pocket flap or simply cut it off if you prefer. I have left my flap intact and glued it down to expose the bold zig zag stripes. Mark your binder holes using a divider or planner page as a template and hole punch. 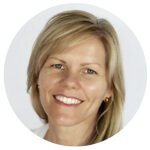 For tips on punching holes in The Beginner Guide to Hole Punching Planner Pages article. Seal your pocket with tape. I used clear tape so that pattern on my paper could be seen all the way to the edge. Each time I use my Nan’s ol’ dispenser I’m reminded of her creativity and how she would decorate the letters she wrote me and greeting cards. #proTip : You can finish off by adding a tab to your pocket for easy accessibility. 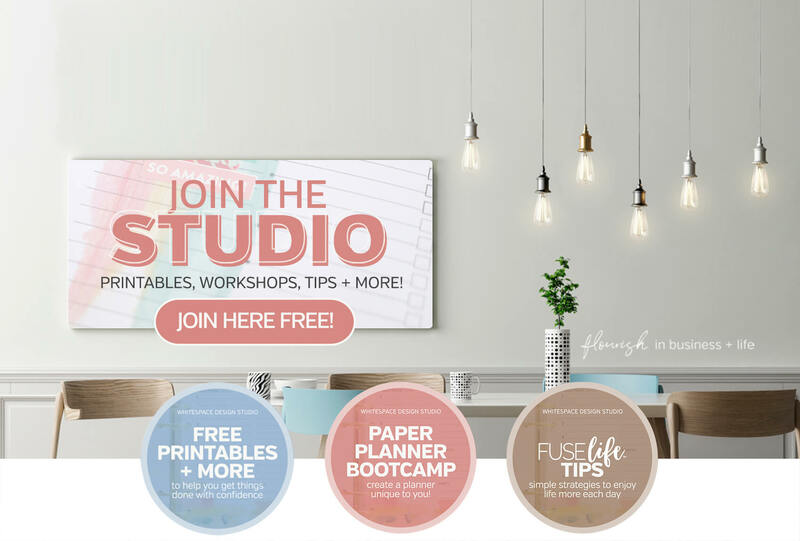 Looking for a unique planner kit to create a planner that works the way you do … choose from the five stylish digital printable planner kits in store. 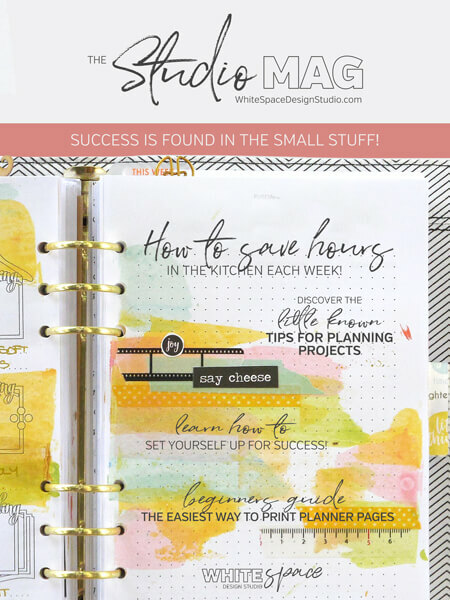 Follow these simple steps to make a unique planner pocket using your favourite craft supplies. 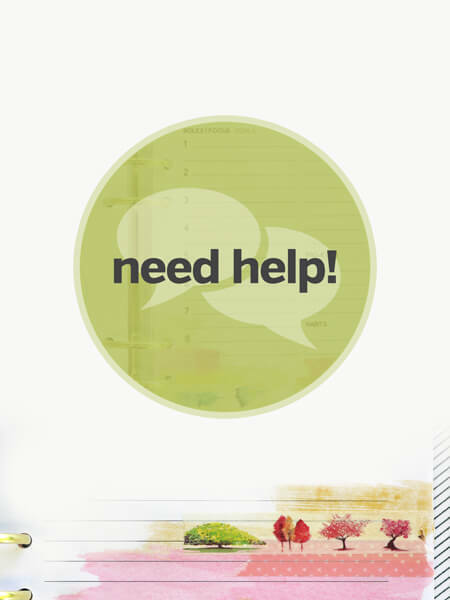 Like to know how to make something for your planner? Ask your question below.